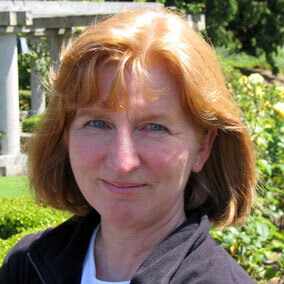 Joanne is a Technician in the University of British Columbia’s Department of Forest and Conservation Sciences. With a BSc in Forestry from UBC, she has spent most of her career in the Aitken lab establishing ‘common gardens’ and making detailed observations in them. In ‘common gardens’, seedlings of many locations (provenances) are grown in a common environment. Such observations are the basis of much of the work on adaptation and conservation that the Aitken lab has focused on. Joanne has worked with commercial tree species such as Douglas-fir and lodgepole pine, as well as Sitka spruce. When needed, she also lends a helping hand in the wet lab. Outside of the lab, she enjoys hiking and skiing, especially in the Kootenays. She was born and raised in BC and continues to be inspired by the beauty of the natural forests around her.